I've been drawing illustrations for TIKS for the past two years now and this one is one of my personal favourites. 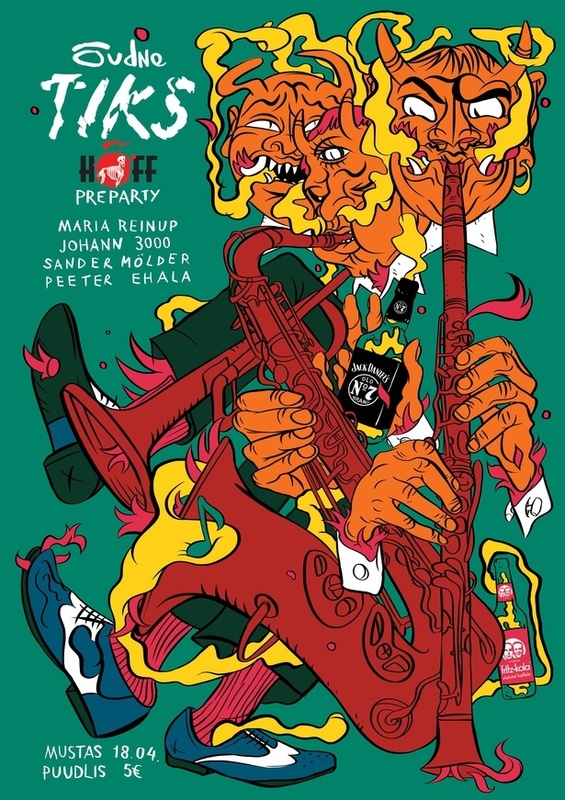 For me, this illustration sums up TIKS for me - the randier side of the soul and dance music event. It's all about the good rhythms your foot taps to, the mad tunes the hips swing to and the hot airless dance floor early in the morning with dancers tearing it up under the watchful gaze of the deejays, completely oblivious to the Sun already rising outside. In 2015 they had several excellent live performers hit the stage as well.